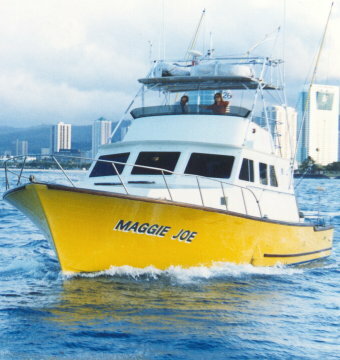 You name it, we have it: AC, refrigeration, microwave, TV/VCR, lights, VCR, cell phone, full galley, spacious back deck, large shaded bridge, new tuna tower, etc. All fishing equipment, fishing license, bait and ice included. Special Destinations-long range, outer islands, etc. Boat keeps any fish over 100 lbs. Any fish under 100 lbs can be filleted for the customer.